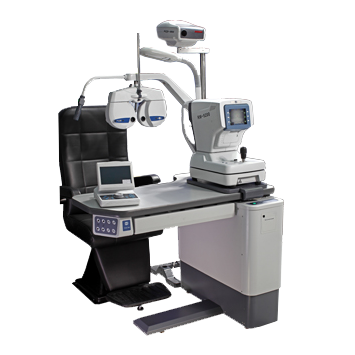 A modern work table that offers a wide choice of compatible ophthalmic accessories. The unit is controlled by electronic control panels that provide the best use of instruments. 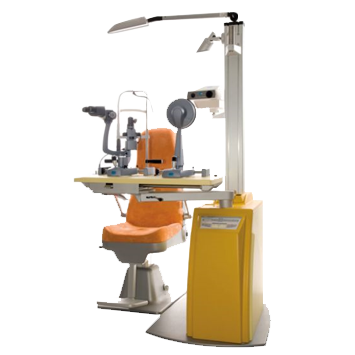 Chair is elevated electronically, able to bear the heavy weight. The arm for Phoroptor is swung electronically. The arm for Phoroptor could be rotated for 90 degree. The table could hold one instrument, easy to conduct.